Recommendation: Smooth, light. So far no issues with the seal. But you can just tell how vulnerable it is. Like that I can replace the bearing for $8-10. Easy to press in. Pros: Low profile headset & very light. Replaceable sealed cartridge bearings. Cons: Like element posted.....Could use a more stout seal. Recommendation: Great for trail bikes. 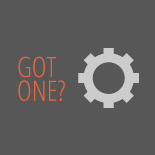 Pros: Low profile long lasting bearings. Recommendation: A decent long lasting headset with very little issues. Great for XC trail bikes. 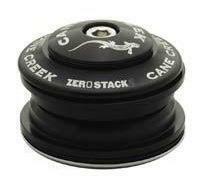 Cane Creek ZS-2 Zero Stack Headset 4.00 out of 5 based on 3 ratings. 3 user reviews.